As I wrote in my previous Looking For Spring post, this time of the year lends itself to fresh and uplifting perfumes that jolt me out of my cold-induced rigor. I received a sample of Guerlain’s newest addition to their former Les Voyages Olfactifs line, now renamed Un Ville, Un Parfum – a perfume featuring my favorite city, London. I will go there in spring, but until then, I’ll rely on Guerlain to bring me closer both to London as well as springtime. 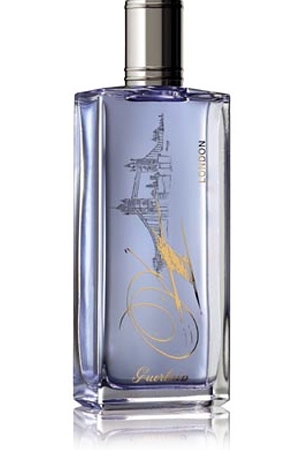 London was created in 2011 by Thierry Wasser and includes notes of rhubarb accord, grapefruit and bergamot, rose absolute, rose essence, cardamom, black tea, vetiver and cedar. Like the one other scent of the line I have tried Moscou, London reminds me of something, but it was clear from the outset what that is – Hermessence Rose Ikebana. Both share the refreshing bergamot – rhubarb top, the rosy heart and tenderly woody drydown. Although where London clearly beats the JCE creation, is in strength and longevity. Its Eau de Parfum concentration and generally bolder stance that makes the Guerlain preferable for me. The top notes are exuberant and simply gorgeous, they stick around very well, as the perfume develops the heart of rose and cardamom gets stronger and deepens the perfume’s character without lessening its vibe of cheerful and carefree happiness, but just enough to add more gravity and dimension. London sweetens over time on my skin, and the drydown is a woody rose with a bit of tenacious rhubarb hanging on until the very last moment. Over the whole fragrance lies a tea note, like a veil, transparently holding the flighty, airy notes together before they can take off. So does spring live within that bottle? You bet it does! How does that make me feel? Pretty damn good! My sample came from Place Vendome Haute Parfumerie in Belgium. This entry was posted in Citrus, Cologne, Floral, Fragrance Reviews, Fruity, Guerlain, Rose, Woods and tagged floral, Fragrance, Guerlain, London, Perfume, Review, Rose, Thierry Wasser, woody. Bookmark the permalink. What a beautiful review! What a perfect picture you chose for it! I didn’t try this perfume on the skin yet (I just didn’t have any skin left at the time) but I smelled it on a blotter and liked. I’ll try it when I have a chance. I was totally overwhelmed when I was at Guerlain boutiques in London and NY and didn’t test anything on skin. It works better for me when I can test at home at my own pace. Is it a special, or freely available (almost) everywhere ? Ugh, I was not interested in this collection, and now I want to try it RIGHT NOW ! Are you in Paris? At least you have easier access then. I was not drawn to this either, but a sample found its way to me and I was very positively surprised. Good grief, you are WAAAAAY to good at making things sound delicious, besodes I am not sure I have ever noticed rhubarb as a note in perfume before. Sigh – another one for my ‘To Try List’! London is my favorite city, I always wanted to move there, but life took other turns… But I’ll be there in May for a very short time only, but better than nothing. Whenever you’re ready, B. – I’m packing ! The exclusive Guerlains are a seductive bunch, aren’t they? Rhubarb is one of those notes that is so good that I’m surprised to see that it’s not used more! I tried this one very briefly when I was at the Guerlain counter in Selfridge’s and I honestly cannot remember what I thought of it, I shall have to try it again next time I’m there. It sounds very uplifting and spirited! Why thank you, I quite relish being in the company of said other woman, who I happen to adore as well. 😉 I had already written this when her review came up, pheww! was I glad she didn’t rip it apart, but really liked it as well. “…cheerful and carefree happiness” sounds lovely and very spring-like to me. So happy London is your favourite city, I would have sworn it was NY! Dear Olfactoria, What a lovely review. It strengthens my deep love of Guerlain. Chances are this one will be out of reach for those of us living here in the wilderness, but I’ll just dream about it. Once in a fit of passionate love for Vol de Nuit, I wrote to Guerlain and told them the “The world is a more beautiful place because of Guerlain”. They have sent me nice e-mails ever since. There is no one else in my rural world with whom I share this passion, so my world is more beautiful because of you and your elegant blog. Dear Anita, how beautifully put – I couldn’t agree more. The world is indeed more beautiful because of Guerlain. The internet is so amazing since it brings perfume fiends from all over the world so close you think you can reach over and touch them. I’m embarassed to admit I’ve never given the Les Voyages Olfactifs a second glance when I visit the Guerlain counter at Holt Renfrew, partly because I thought the bottles looked boring. (I know, shame on me. Never judge a jus by its cover.) But rhubarb? Better longevity than Rose Ikebana? Now I’m interested. I think rhubarb has a certain sharpness, I’d rather call it tartness though, to it. I find it amazing how many Guerlains there actually are in in one of the boutiques; I find them far more confusing than Carons that way, and somehow more variable in delightfulness. Which doesn’t mean that I don’t love Guerlain; I totally do. Will go back to this one and see if I can sniff the tea. I would love more tea in a spring perfume. Another excellent tea perfume for spring is Hermessence Osmanthe Yunnan, perfect for the season. That sounds lovely. I need to try that one next time I’m at Neiman Marcus. I smelled Tokyo and I really loved that one. I don’t know if I got this right, but I’m pretty sure the SA told me that they are changing the bottle or something? I just hope it doesn’t get discontinued anytime soon. The change of bottle – the first three perfumes in the Les Voyages Olfactifs were called 01 Paris-Moscou, 02 Paris-Tokyo and so on. Now with the fourth in the line they are dropping the Paris part and they are only named after the city – so this one is 04 London. So therefore the bottles will be changed bearing the new, shorter name. As I understand it, they’re also switching the rest of them (Moscou, Tokyo, and NY) to EDPs – higher concentration in smaller bottles. 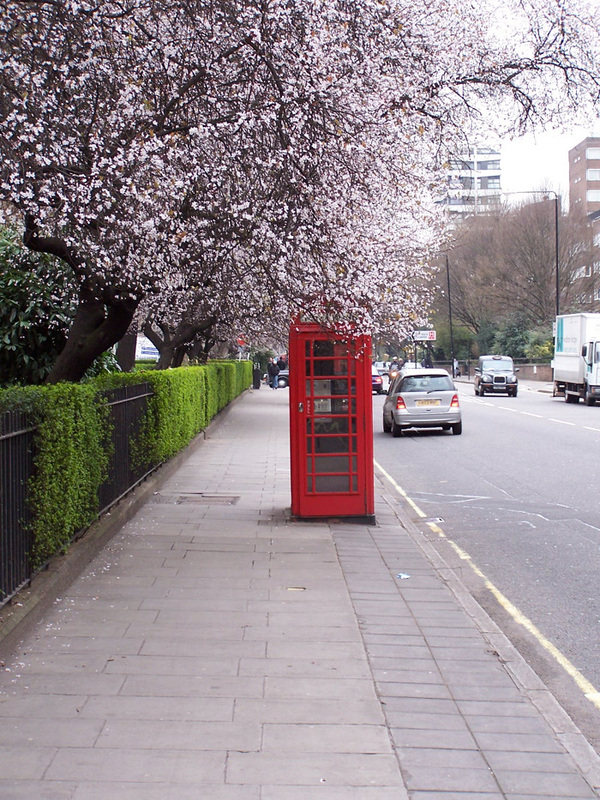 BTW – I love London! Especially the tea note in it. Have yet to try the rest. Looking forward it. Yes, the whole line is revamped, different names, bottles and concentration. Interesting – thanks for pointing that out. I liked London but didn’t love it, but could well imagine that if it were ramped up as an EDP it would appeal more strongly. But I loved the old bottle, so! I hope the new one is as attractive.